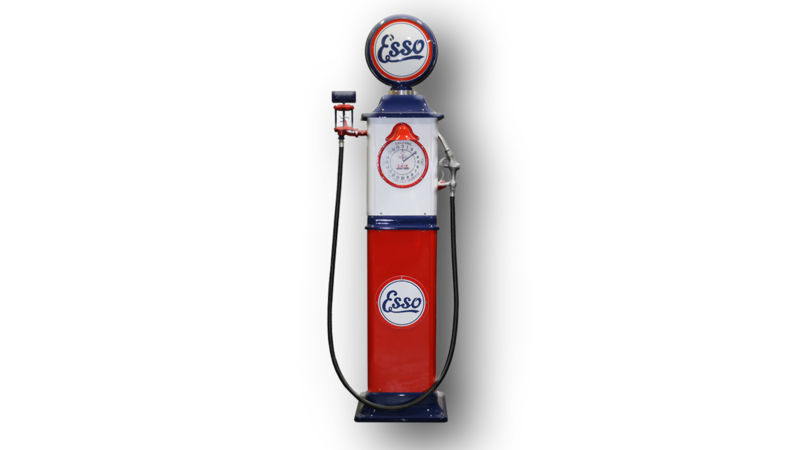 This is an exact reproduction of a 1931 Erie 753 clock face gas pump. 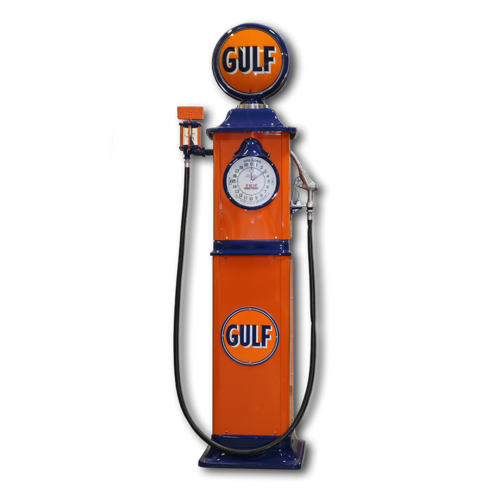 The pump is built using aluminum castings, 18 gauge metal pump panels, aluminum globe body, and the globe and clock face are lighted. Overall height of pump is 7’6″. 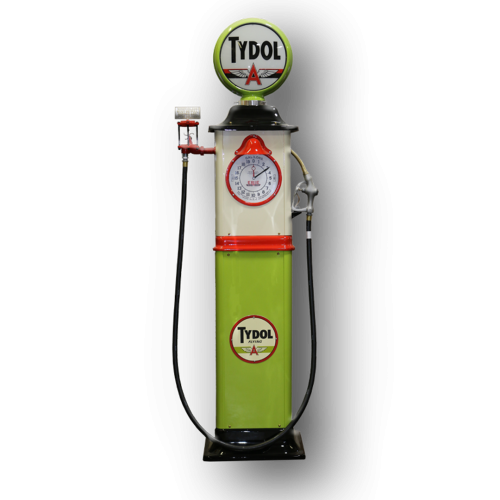 These pumps can also be customized with your choice of color scheme, globe, globe body color, and porcelain or decal. 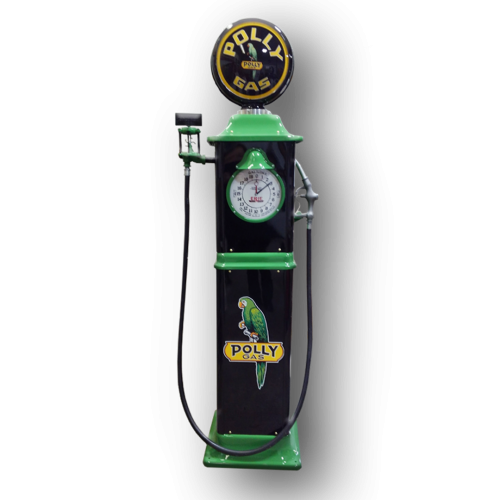 **Disclaimer: Purchasing this item through our online store does not reflect shipping charges. Due to the large nature of this item, you must contact us for a shipping quote prior to our processing an order for this item.